Have a comanche, but no one to talk to? Not anymore! We are a group of close to 600 comanche owners and rabid fans that have anything to share...Technical advice, hundreds of pictures, stories, and anything else you could think of. Just recently, we had our first outing, kind of an unformal get-together of sorts. No big agendas, just a good time with the 7 Comanche owners who decided to come out and all have fun at the Badlands off road park in Attica, IN. 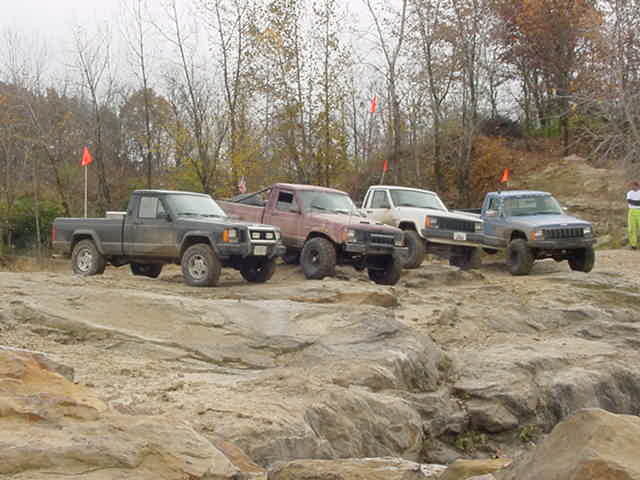 The picture above is from the outing, just a few of the trucks in a group shot. We never did get everyone in the same shot. Recently we have been having a boom of new members, so what are you waiting for?